Cunningham will be responsible for business development and will help facilitate complex agreements involving multiple entities, managing the planning stages, real estate processes, site and environmental challenges, financial solutions and partnering with city and state stakeholders. Check out the profile on Minneapolis/St. Paul Business Journal. The full Press Release is below. MINNEAPOLIS – Oct. X, 2017 – Inland Development Partners (IDP) recently named long time Twin Cities developer Bob Cunningham as partner in the firm. Cunningham will be responsible for business development and brings 35 years of property development and redevelopment to the company. “Having an industry veteran responsible for a number of ground breaking public/private partnerships join our team will strengthen our offerings and broaden our expertise, to help us better serve our clients,” says Kent Carlson, IDP Partner. 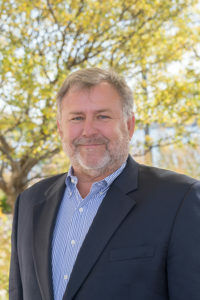 Before joining IDP, Cunningham was Principal at Melrose Company and TOLD Development Company where he was involved with all levels of development and operations of office, industrial, retail and multi-family development. Cunningham joins partners Kent Carlson, Tom Shaver and Steve Schwanke, who have a combined 100 years of development experience. IDP’s strengths in the industry are land development, asset repositioning and site redevelopment. Their forte is managing complex agreements involving multiple entities from beginning to end: managing the planning stages, real estate processes, site and environmental challenges, financial solutions and partnering with city and state stakeholders. Cunningham has an MBA from Drake University in Iowa and B.A. in Economics from the University of Wisconsin, Madison.